Perfectly updated home in desirable West Asheville walking distance to Zia Taqueria, Fractals Coffee and The Whale. 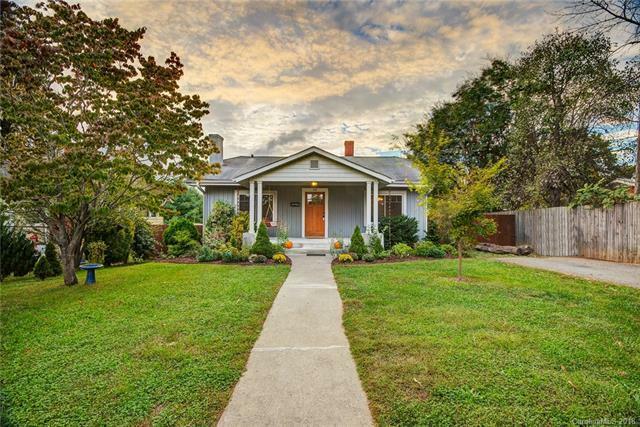 This sweet bungalow has all of the modern updates you desire but still has the original charm. The living/dining area are open concept with lots of room for entertaining. Original hardwood floors throughout. Kitchen features floor to ceiling cabinetry with tons of storage, gas range, glass tile backsplash and granite countertops. Not one but TWO custom bathrooms, one for bathing and the other has a beautiful custom walk-in shower and double vanities. Fenced in backyard with a fire pit. Covered front porch perfect for swinging, and a back covered deck for enjoying the sunset. Has a great shed off the back of the house for additional storage or workshop. All new systems throughout including electrical, plumbing and HVAC.